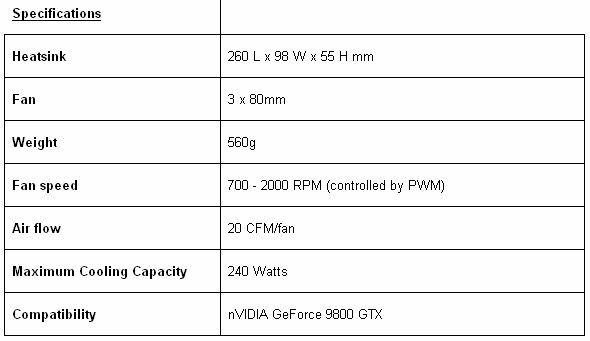 As many users found out that the excellent performance of Accelero Xtreme series, now we are going to extend its compatibility to the latest nVIDIA GeForce 9800 GTX by Accelero Xtreme 9800. The same as Accelero Xtreme series, it is equipped with 5 heatpipes, 107 fins and 3 x 80mm PWM fan for transferring heat efficiently at low noise level. A new dual-fan VGA cooler Accelero TWIN TURBO, adding a multi-compatible high performance merchandise into their reputable VGA cooler product line. It is featured with 4 heat pipes, 30 fins and 2 PWM fans, which gives enthusiasts a very promising result – 26°C lower than the nVIDIA GeForce 9600GT stock cooler. 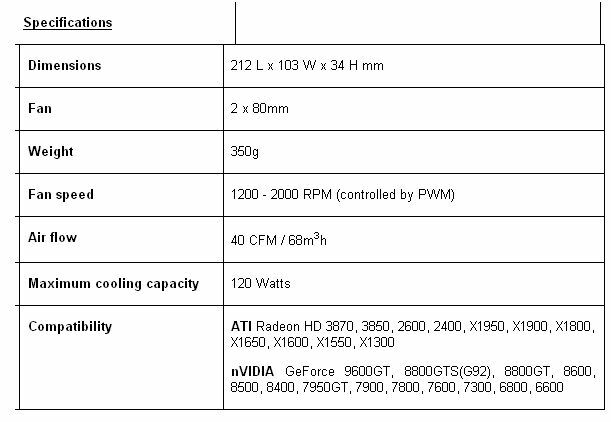 It is widely compatible with nVIDIA GeForce 9600, 8800 series (G92) and ATI Radeon HD3870, 3850 and much more.